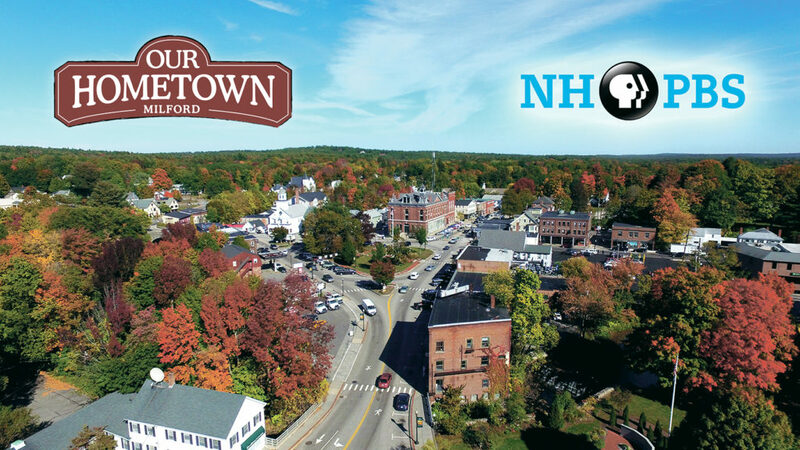 The logo for ‘Our Hometown: Milford’ includes an aerial shot of downtown. MILFORD – “No one knows your town like you do” is the slogan for NHPBS’s “Our Hometown” series, and last week more than two dozen Milford storytellers showed they know a lot about their hometown. The longer version premiered last week at an April 12 viewing in the town hall auditorium. Following aerial shots of iconic Milford scenes came the brief stories: Peg Hatfield talked about her teenage years, when Milford boys were considered cooler than Wilton boys. Barry Scharmett told the history of his family’s Milford Drive-In Theater. Erna Johnson talked about the Hutchinson Family Singers. 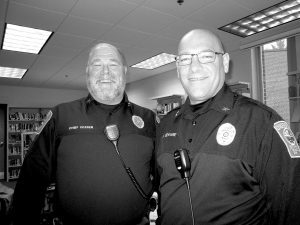 Phil Bouchard explained why he started his barbecue stand, and retired police officer, Mike Dowd, told how the town rallied to help with his twin brother’s medical bills. Harold “Pip” Adams told a funny story about the Fire Department. In all, there are 44 stories from 32 people. 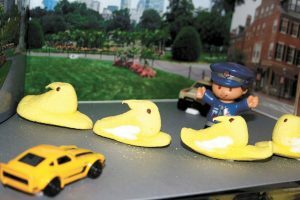 NHPBS President Peter Frid urged townspeople to “continue connecting with friends and family,” because the goal was not just to produce the series, but to encourage people to keep their town’s history alive. The “Our Hometown” series premiered in 2015 with a show on Peterborough, followed by Colebrook, Stratham and Wolfeboro. The series is hosted by New Hampshire author and storyteller, Rebecca Rule. 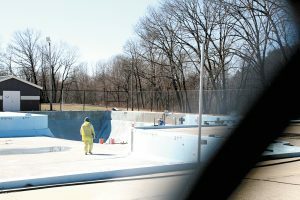 All stories are available at nhpbs.org/hometown. There will be multiple air dates on NHPBS and NHPBS EXPLORE and online at video.nhpbs.org.